It just warms my heart when my little man pulls up the step stool to prepare food with me! 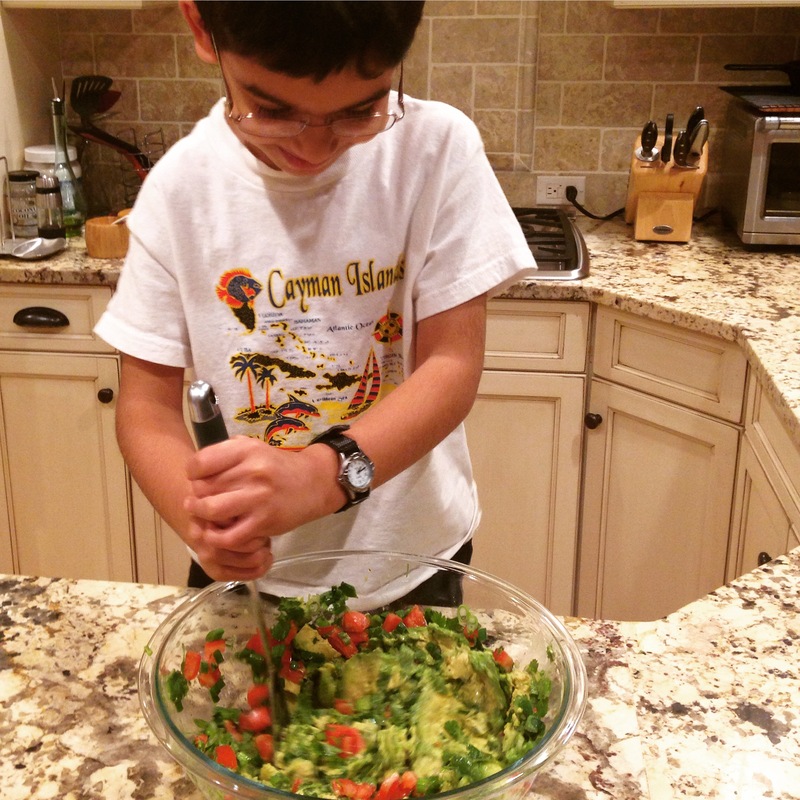 He thoroughly enjoys mashing up the avocados and mixing various toppings in. And I’m telling you: food tastes better to a child when they have made it! He isn’t always the quickest or most willing eater, but if he has had any hand in making it, suddenly there is hunger and happiness. Not to mention some very cute confidence. 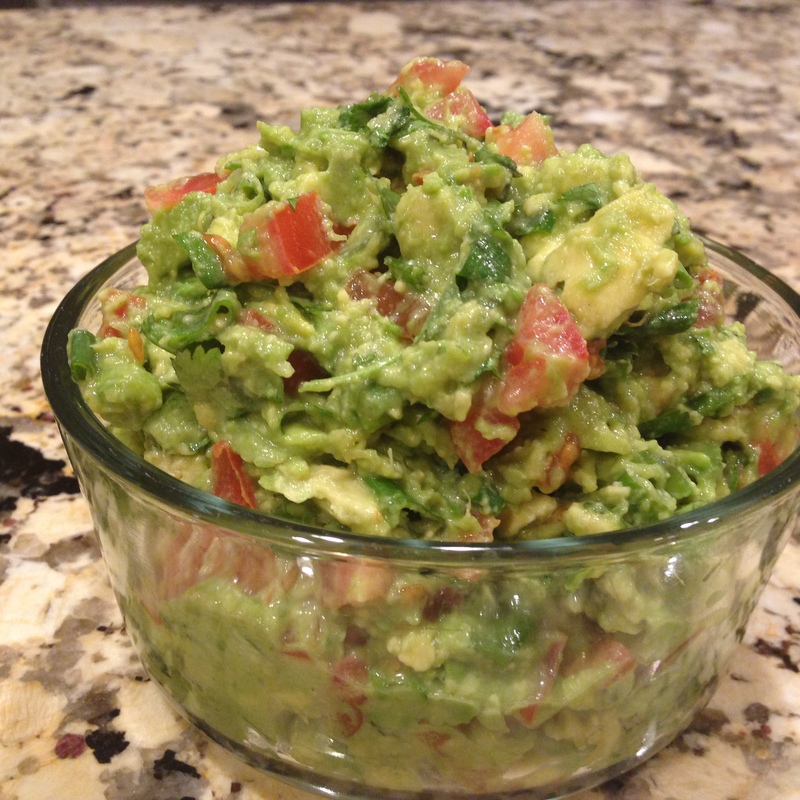 Chunky guacamole with salsa flair will keep you and everyone else coming back for more. 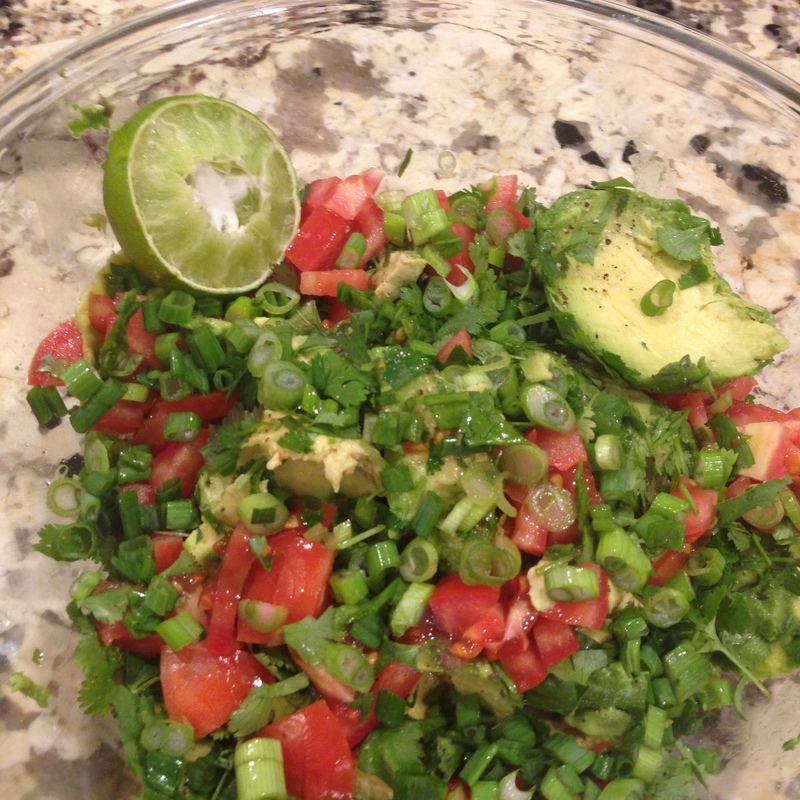 And given all the mix-ins, you can even eat this straight up as an avocado salad. Mash avocado and lime juice together until desired consistency. I prefer to serve it chilled but room temperature is still delicious!